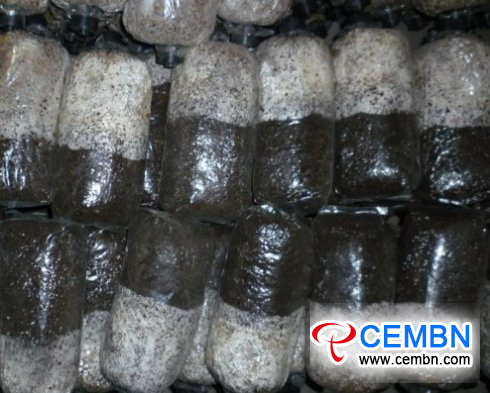 As known to mushroom growers, all raw materials used for mushroom cultivation carry the risk of germs and pest diseases, and hydrothermal steam sterilization of above 100 degrees Celsius is required for growers to kill them. When implementing mushroom cultivation with mature materials, in accordance with different varieties, growers could carry out high-temperature steam sterilization to compost. For sundry fungi are ubiquit and they widely exist in nature, they propagate in the air by form of spore while mycelia of mound consist in organism. Meanwhile, they secrete toxin, and inhibit the growth of mushroom. High-temperature steam sterilization destroys the hydrogen bonded chain in protein, does great damage to nuclein, and leads to the denaturation and concretion protein as well as inactive enzyme. The main purpose of sterilization is to kill off all the pathogenic microorganism in raw materials. In general, sterilization should be kept for above 10 hours at 100 degrees Celsius, sometimes the result of sterilization is still unsatisfactory after it has been maintained for 30 hours.